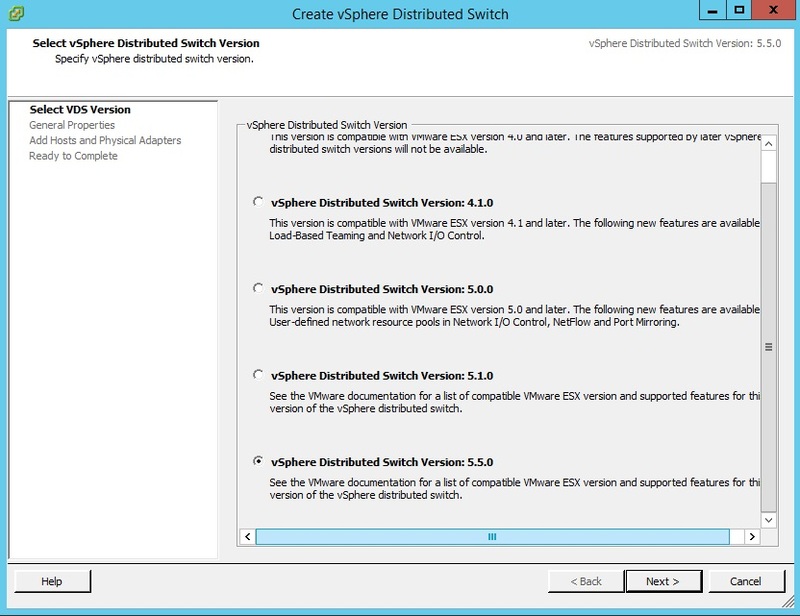 In this article, let's see how to migrate your ESXi host networking from vSphere Standard Switch to vSphere Distributed Switch. 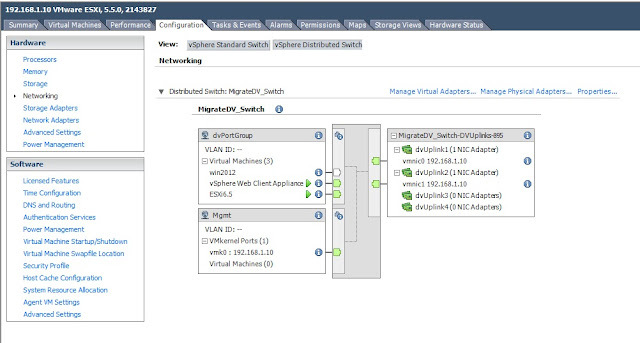 Here we see the current configuration of my standard switch for one of my ESXi host. I have one standard switch, with two portgroups; one for virtual machines and other one is the management network. 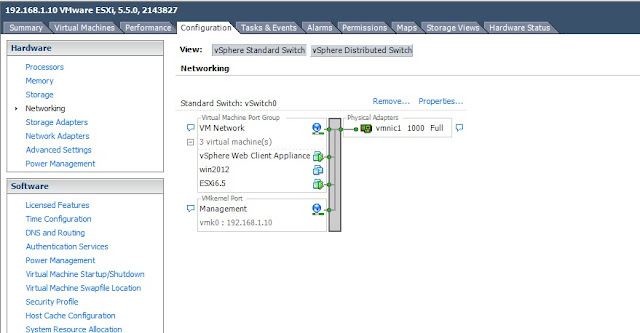 I have simplified the networking by eliminating additional vmkernel portgroups for vMotion, FT, iSCSI as the process to move them would be the same. I have one uplink given to this standard switch, vmnic1. Let's go ahead and create a distributed switch. Go to Home and select Networking. 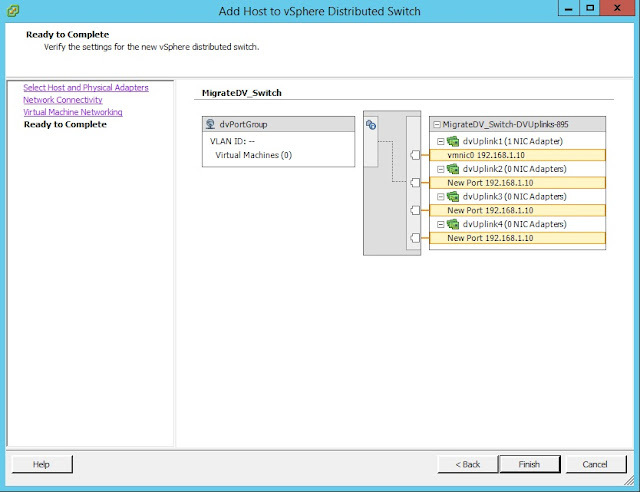 Right click the required Datacenter and click New vSphere Distributed Switch. 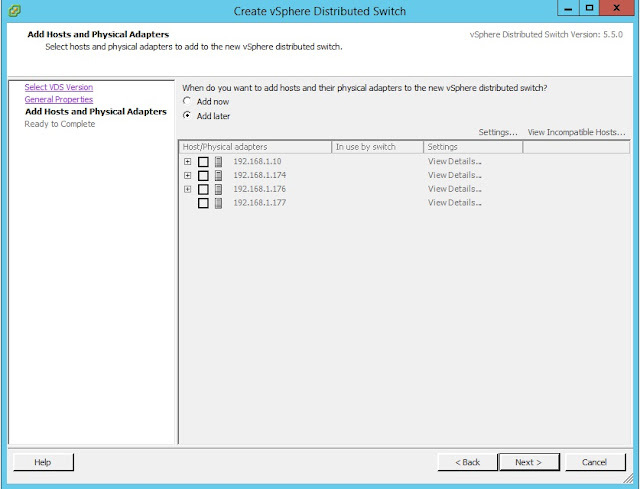 Provide a name to this distributed switch and if you want to alter the number of uplink ports to this switch, you can do the same in the Number of Uplink Ports section. I am going to add hosts later as I like to review and make sure I got the setup right before I start moving anything off my standard switch. Review your settings and Finish in the Ready to Complete section. Select the host that you want to add. Now, you can see that I have two uplinks in the menu for this host. vmnic0 and vmnic1. 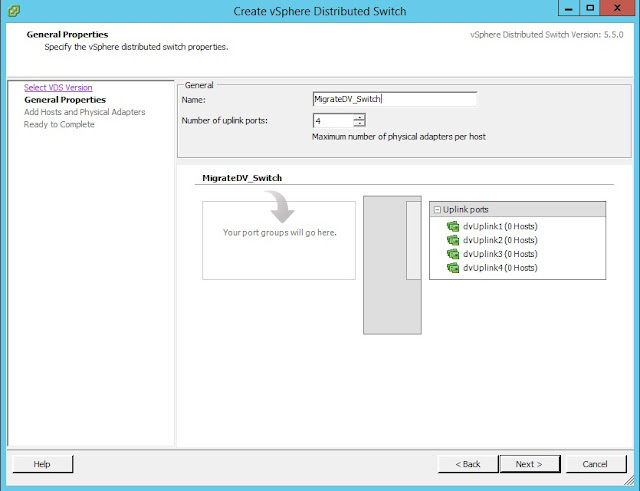 You need to make sure that you have one free uplink when you add the host to the distributed switch. 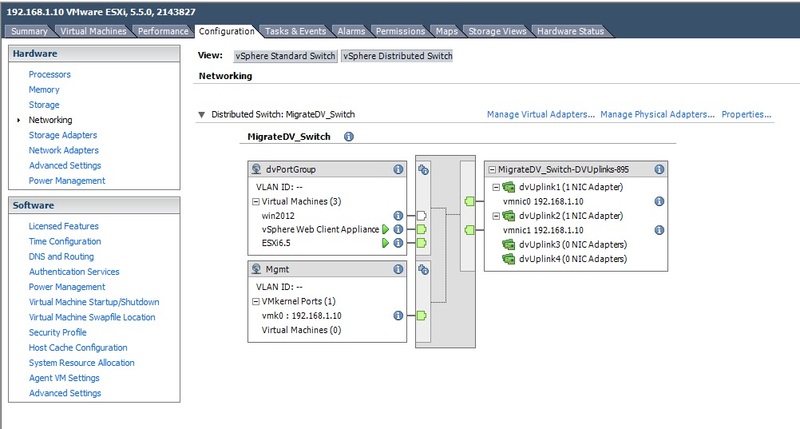 This is because, when you are migrating your portgroups off standard switches and you do not have any uplinks on the vDS, your networks are going to be disconnected. 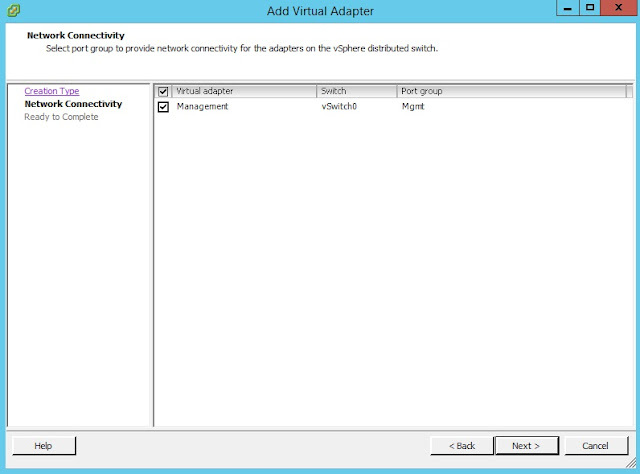 Here, I will choose the free unused adapter, vmnic0, to be added to the vDS. 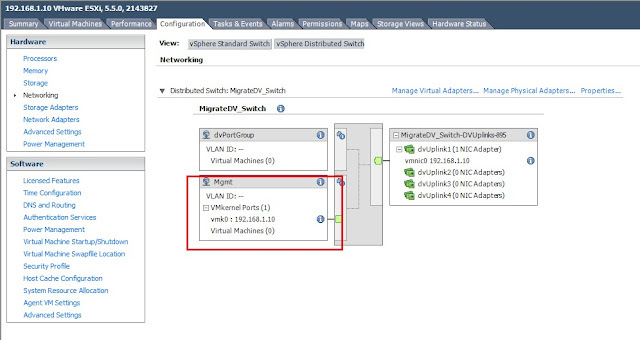 As seen in the standard switch configuration, I had one vmkernel port-group, vmk0. I am not going to migrate this port group right now. 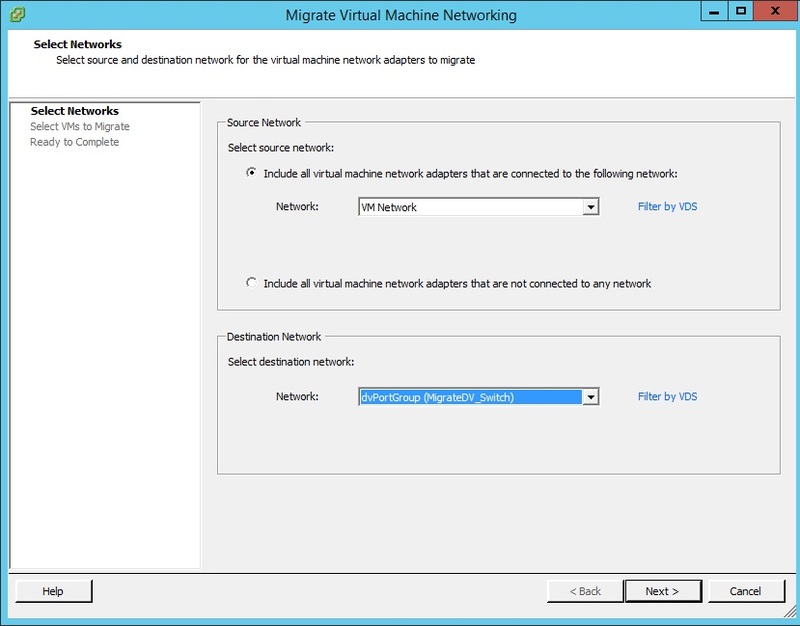 You can do it at this stage by simply using the drop-down under Destination Port Group and selecting the required port-group on the vDS as to where your management network must migrate to. I am neither moving any virtual machine networking as well because I will be doing both of these steps later. 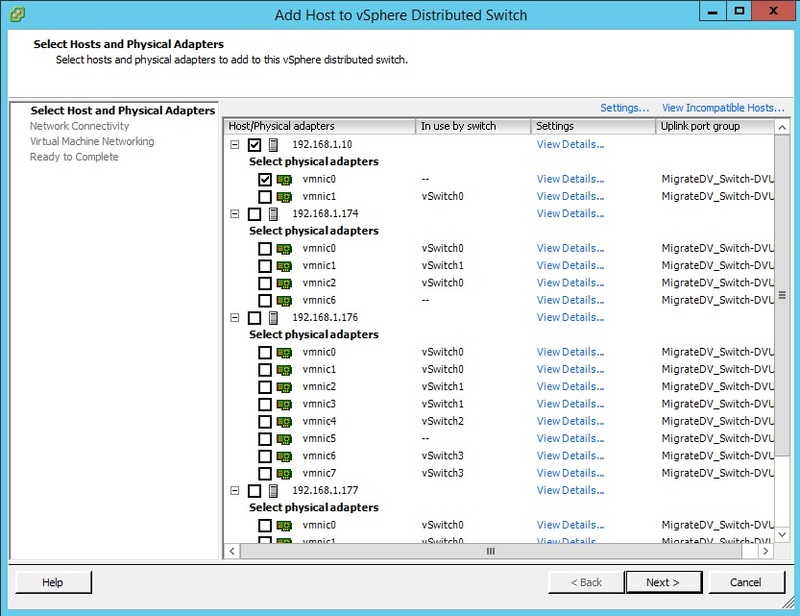 Review your settings and complete the host add to vDS. Now, we will migrate the VMkernel from standard switch to the vDS. 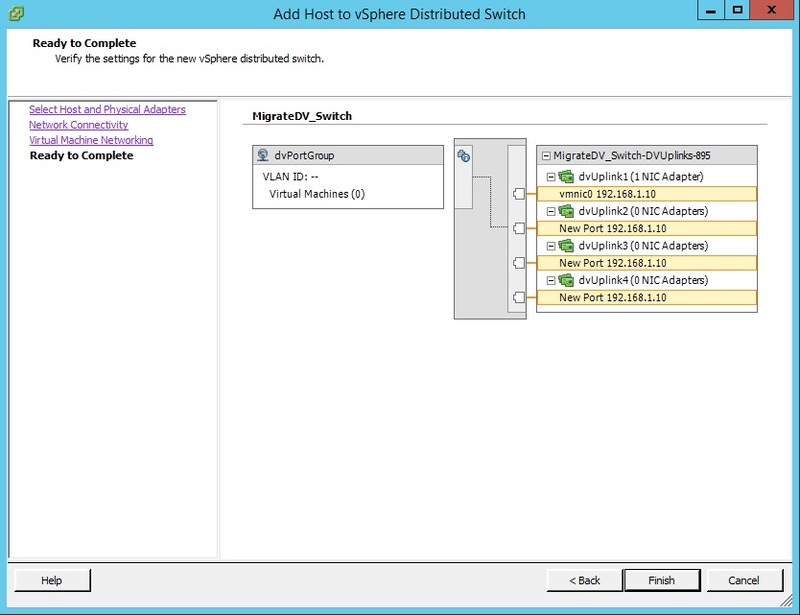 Select the Host and click the Configuration tab and browse to Networking > vSphere Distributed Switch. 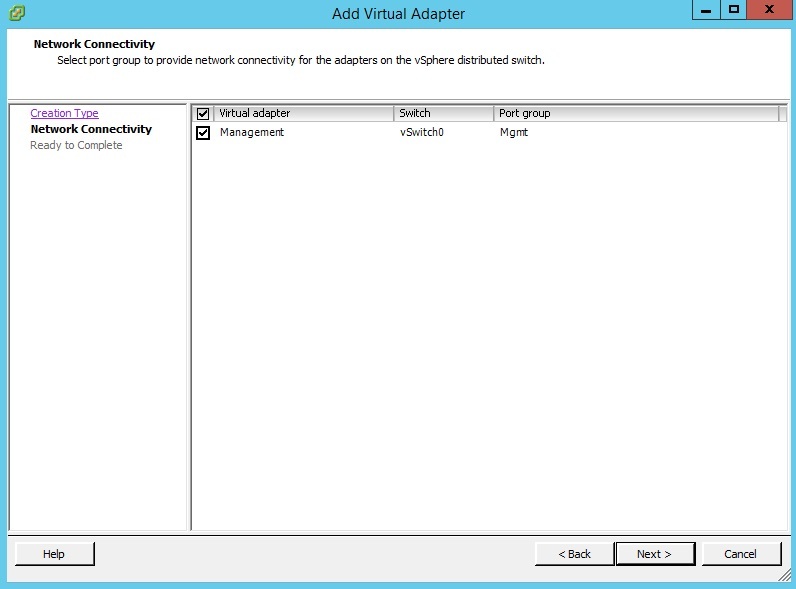 Click Manage Virtual Adapters. Click Add to check the required vmk. 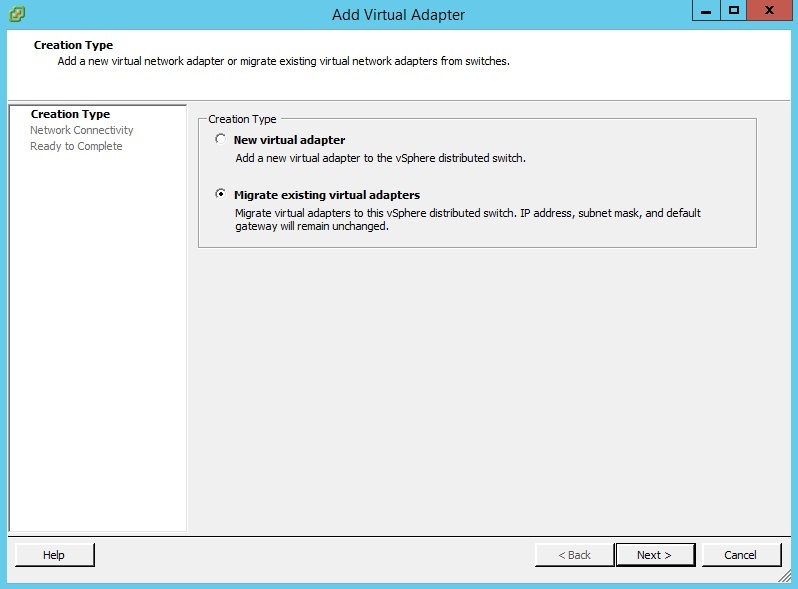 Select Migrate existing virtual adapter as we already have the vmk in the standard switch. 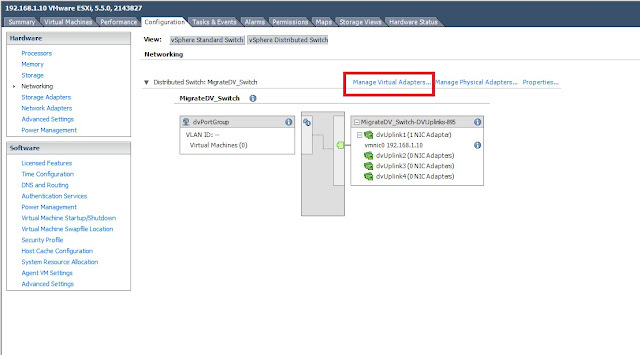 Select the required port group and the destination port-group in vDS under the section "Port Group"
Review the settings and complete the migrate. It will take a couple of seconds to finish the migrate. You can also do a continuous ping to the host to check the network connectivity. Once migrated, you can review your vDS diagram. Next, we will migrate the virtual machine networking from standard switch to the vDS. Go back to Home and select Networking. 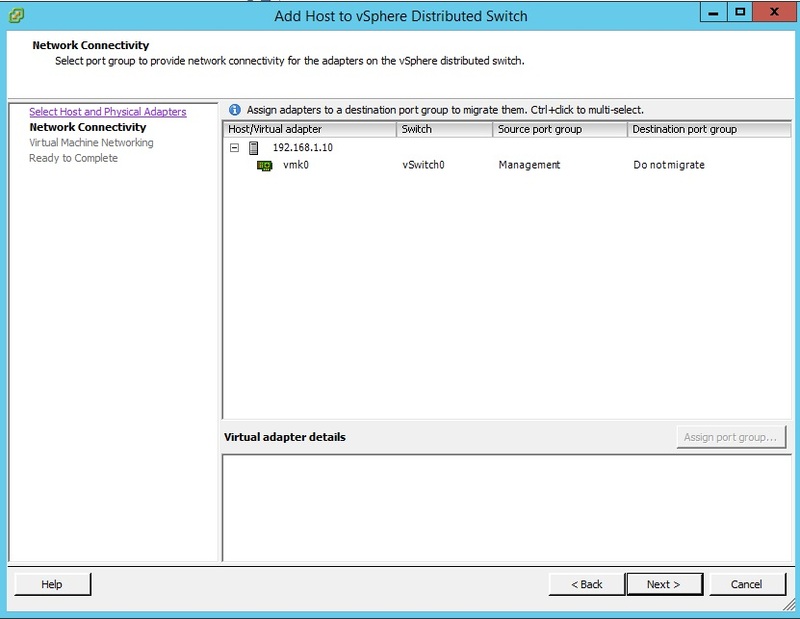 Right click the respective distributed switch and select Migrate Virtual Machine Networking. 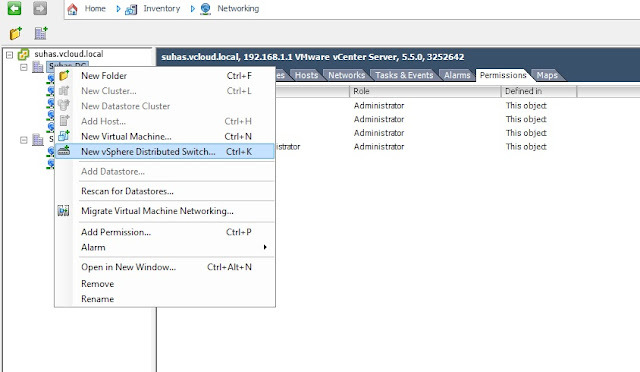 The source network is your standard switch networking and from the drop-down select the port-group on the standard switch where the virtual machines reside. 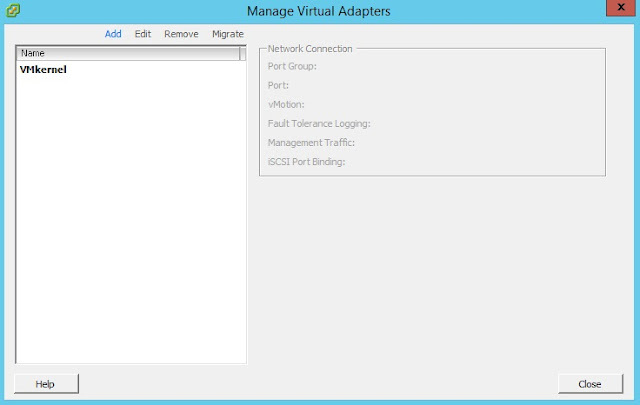 In my case, the port-group on the standard switch is called, VM Network. 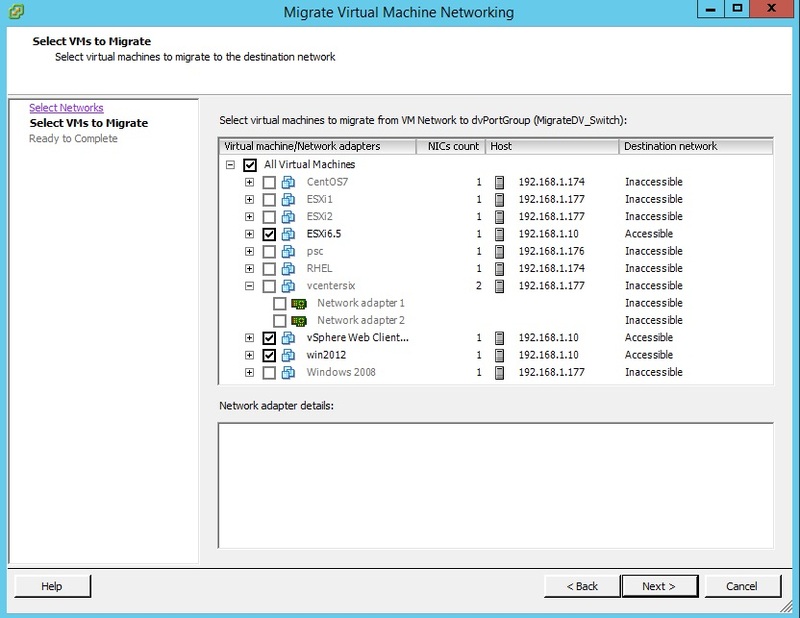 The destination network port-group is on the vDS and I want to migrate the VMs to a port-group called dvPortGroup on the vDS. 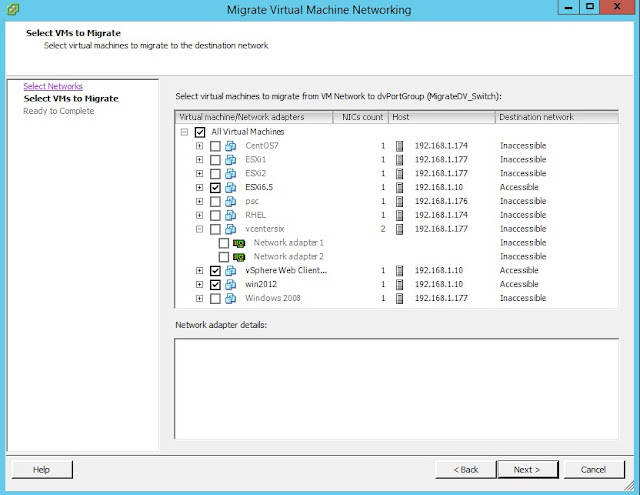 Select the virtual machine you want to migrate on this port-group in the next section. Review changes and finish the migration. Once Migrated, go back to your distributed switch under the ESXi host and cluster section and review the final configuration. That's pretty much it. 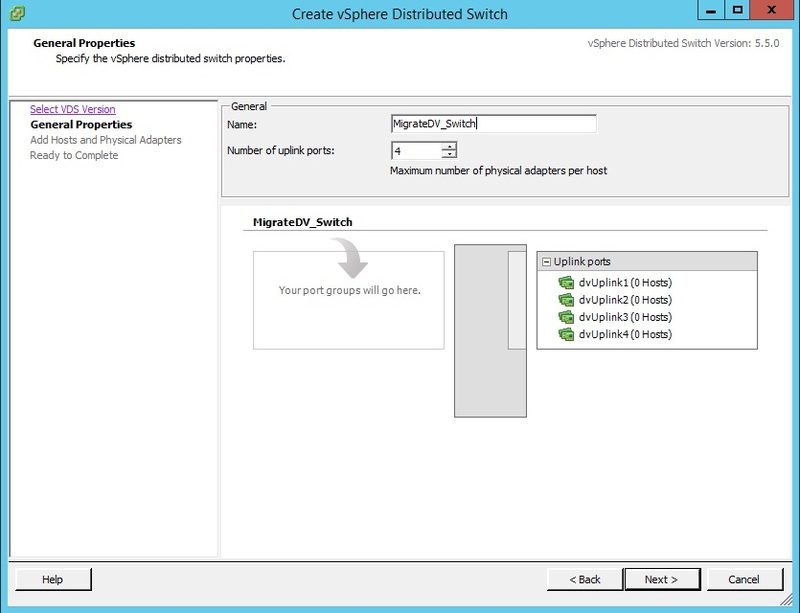 If you have additional portgroups you will have to repeat the process. 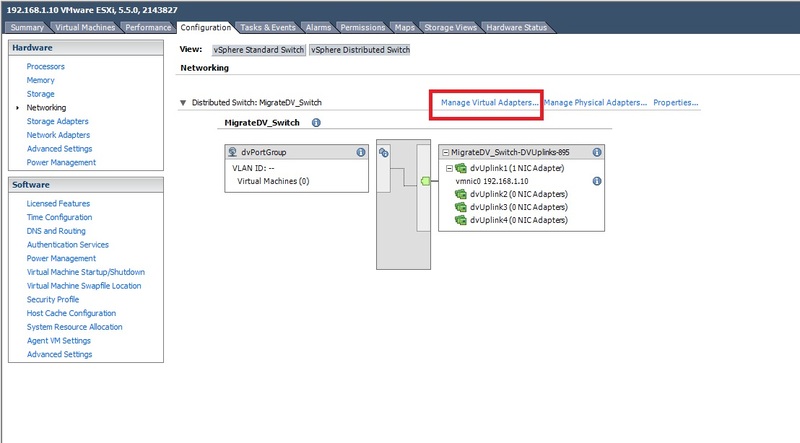 If your port-group have VLAN IDs, then you will have to create a port-group on the vDS with the same VLAN ID, else the migration will fail. 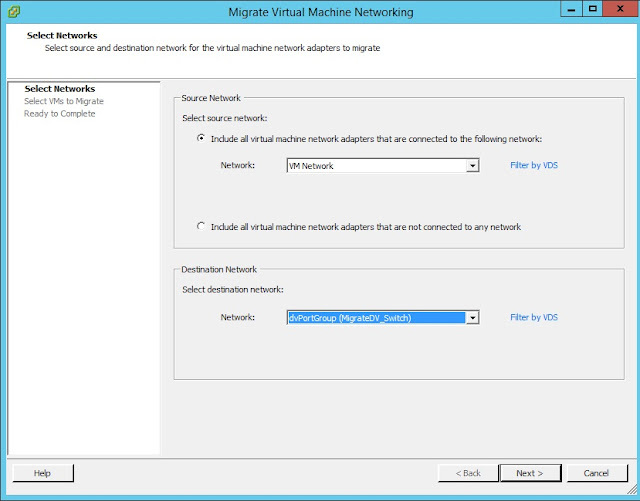 If you are migrating iSCSI with port binding, then you will have to remove the port binding and then migrate the iSCSI and then configure port binding post migration. 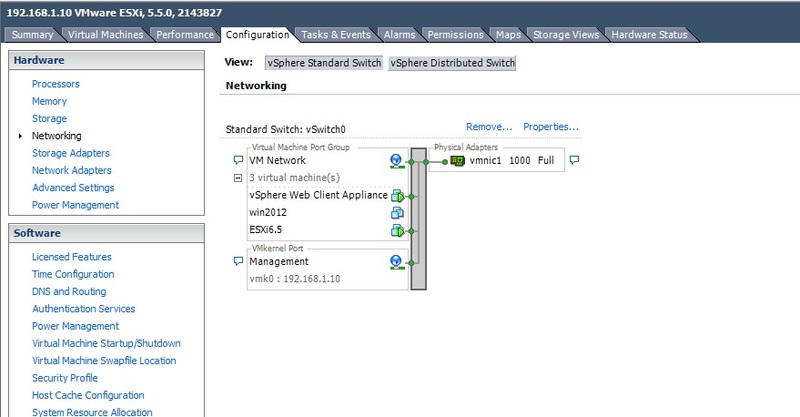 Click this link here to see how to migrate from vDS to standard switch.